Tomorrow is the new moon in Aquarius. We are also right at the midway point in Aquarius season, which means we are halfway to spring. Aquarius season, like all the signs that are midway through their respective seasons, are about fixity. They are not about beginnings or endings, but rather the phases of sustaining we experience in life. While we know that change is a constant in our world, there are many moments when it doesn't seem that way, where we find consistency and stability and longevity and a feeling that stretches on and on. Aquarius is the sign of knowledge. It occurs at the heart of winter in the Northern Hemisphere, when it seems that the world will be frozen for ever, but we know beyond a shadow of a doubt that spring will come at some point. It is where we seek to know and understand everything we can, for better or for worse. And it is where knowledge becomes fixed in our minds once we have acquired it. This makes Aquarius a very perceptive and forward-thinking sign, but it also means those thoughts can be unforgiving and unwavering. Consider where, in your life, you hold your own ideas about what is right, an ideal way of being, and the right way for others as well. And then consider whether those ideals match what is possible and feasible in your day to day life. Often with Aquarius we can get lost striving in the possibility for perfection, at the expense of our earthly bodies and wellbeing. Herein lies the challenge of a sign that does not want to change what it knows to be true and right, in the interest of what is real. 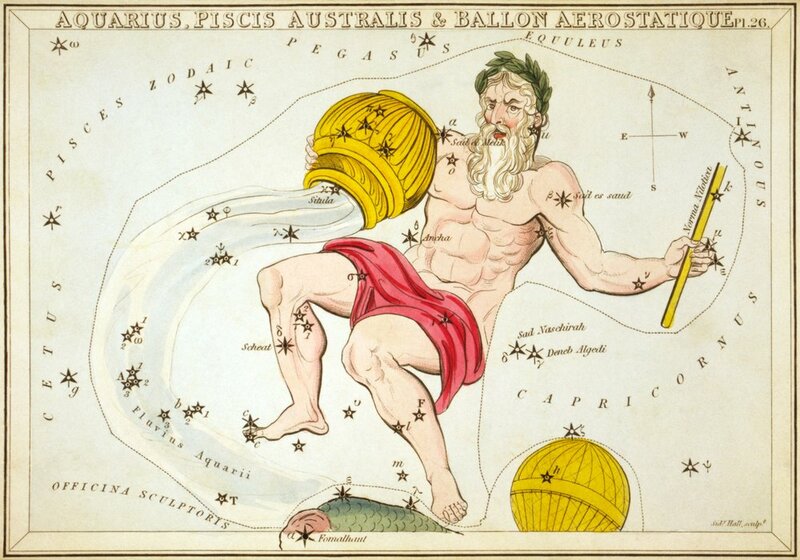 Meanwhile, the possibilities Aquarius strives for are in service to a greater good that benefits many in the world. So take some time tomorrow to consider for yourself the balance between the two on this Aquarius new moon. Our ability to strive for an understanding and knowledge that creates possibilities, strengthens communities, and benefits many; and our ability to hold tight to what we know conceptually even when it does not match with the ever-changing rhythm of our lives.